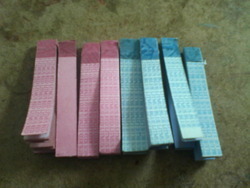 Indicators PaperWe can offer Blue and Red Litmus Paper. For decades MN has manufactured high quality pH papers that use indicator compounds to quickly and easily determine the pH value of a solution. 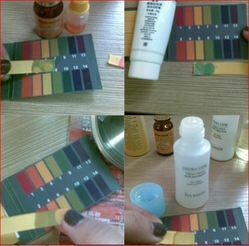 MN offers multiple different papers that provide reliable pH testing for different applications. Reckoned as one of the involved companies of the industry, we are extremely immersed in providing PH Indicator Papers . - The paper will always be ready to use when needed. - Sizes: 63.5 × 10 mm. Standard quality pack. Total 100 leaves, each of size 63.5×10mm. Universal pH range from 1 to 10 or 1 to 11. Congo used to be in paper but that process has long been abandoned primarily because of its tendency of the paper to change colour when touch any quantity of acid then it to turn violet to Blue Colour, according to concentration of acid, because of its toxicity. We bring forth for our clients premier quality pH Test Papers and other chemical indicators which are used for quick determination of various chemical parameters.These chemical indicators can be used easily. These are available at reasonable prices.Our test papers are of best quality and are effective enough to check the presence of a particular chemical. Analab Scientific India Pvt. Ltd.